This SharePoint tutorial explains, how we can integrate Yammer in SharePoint page. We will see how to embed Yammer group feed in SharePoint page in SharePoint 2013/2016/Online. Microsoft has newly introduced an enterprise social networking service used for private communication called Yammer. We can use as feed in both SharePoint classics page and modern page. Now we will see how to embed Yammer group feed in SharePoint Online Page. Step 1: Before starting this service, you should have a Yammer account. Open Yammer home page. Step 2: Once you logged in to your Yammer site, You can able to see your home page just like the below screenshot. 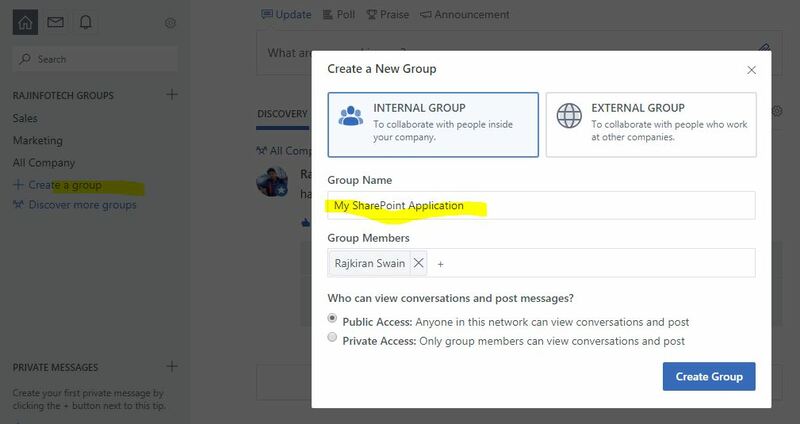 Step 3: Now you have to create a group inside Yammer so you can feed the same activity inside your SharePoint application. Step 4: Once your new group has been created, open that group and post anything. There is an option in right side footer part to embed the feed in your site. Please look into the screenshot. Step 5: Next copy the code and add it inside a Script Editor Web part in your application in SharePoint Online or SharePoint 2013/2016 page. Next, click on Ok and save the page. Step 7: You can add the same Yammer service in Modern page without copying the code. It will appear on the page while adding a Web part. Clicking on Like or Comment button takes you directly to Yammer account. 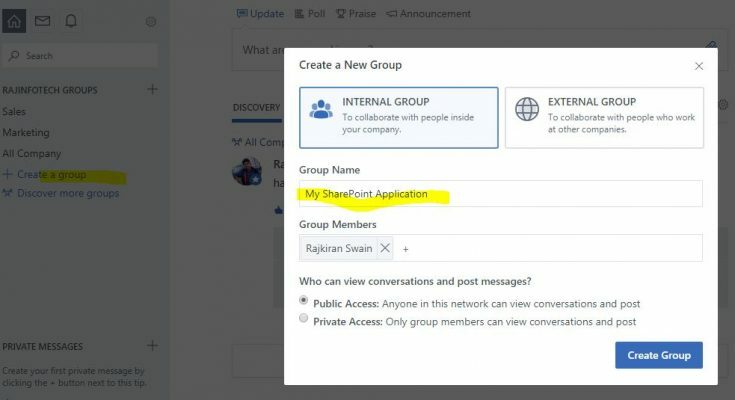 Hope this SharePoint tutorial helps to embed yammer group feed in SharePoint Online/2013/2016.